As is now tradition, The A.V. Club once again turns its attention to you, the loyal reader, as we announce the 2015 readers’ poll. We know what we like, but sometimes we forget that there’s a whole world of people out there with opinions of their own. And so we open our doors (ever so slightly) to the wild, witty braintrust that is the A.V. Club readership. 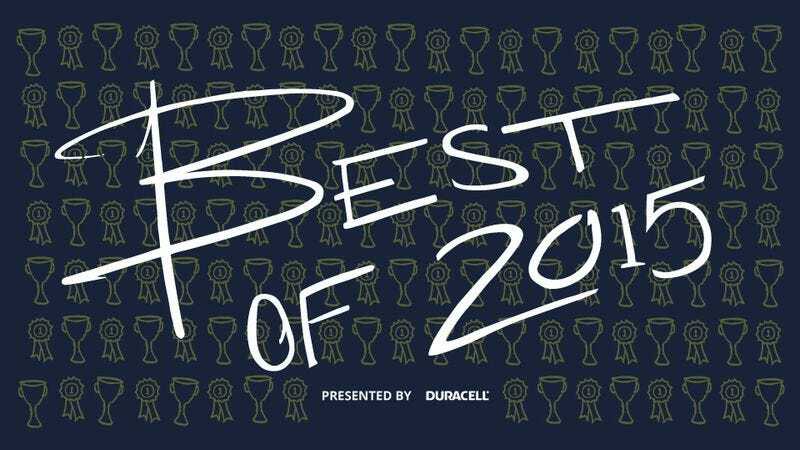 What will you crown the best television, movies, music, books, games, and podcasts of the year? What 2015 entertainment let you down? What were we painfully wrong about? What’re you looking most forward to in 2016? Once this year comes to a close, we’ll probably never think about it again, so this is your final chance to share your thoughts on the pop culture that was in 2015. The polls (which can be accessed below, through the magic of hyperlinks) will remain open until the end of the day on Wednesday, December 16. We’ll announce our winners that Friday, December 18. What’re you waiting for? Get to voting!